J.T. Farnhams receives quality local seafood daily to create homemade and local favorite recipes for a unique and delicious menu. We handpick the freshest local seafood for an off the boat experience, frequently featuring a genuine "catch of the day" on our specials board. The unmatched beautiful view overlooking the Essex River provides the ideal dining setting indoors and outdoors. Our location offers access for boaters to drop anchor and order. 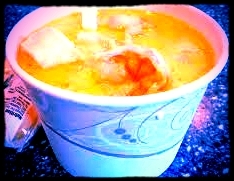 "The Best Seafood Chowder" : clams, shrimp, scallops, haddock and lobster. J.T. 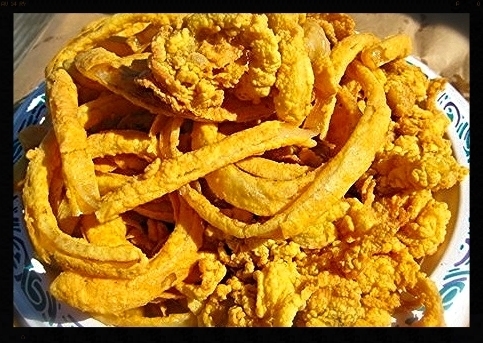 Farnhams is most recognized for our famous our award winning golden fried clams and "the best seafood chowder." Whether it is a recipe passed down for generations or one of our cook's inventive creations our goal is to select and prepare the best local seafood. Our homemade items include our onion rings, famous seafood chowder, crab and lobster rolls, crab cakes, lobster bisque, sweet coleslaw and more!